This Friday, we’re featuring Ashton of Strung Out Nails! We had never heard of string art before seeing Ashton’s work and now we’re so glad we have. Just look and see how cool it is! A few decades ago this unique style of art was really popular, but now Ashton believes it’s making a comeback. We’re excited that you all will be the first to know about this re-emerging style of art! Keep reading to hear all about Strung Out Nails and how it came to be. : I’m Ashton E. Bemis. I’m a 26-year-old creative living in Nashville, TN with my husband, Kyle, and our four dogs, Hershey, Gracie, Misfit, and Dobby. I have always been interested in art, but I ended up going to school for social work, because of my love for people and diversity. However, here I am, five years post-degree, and I have circled back to my first love. 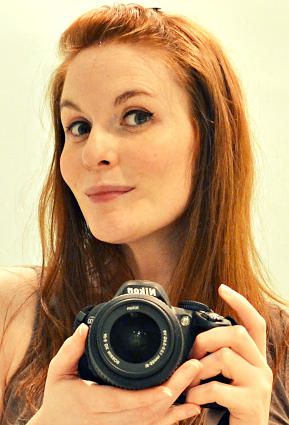 I am now a photographer, graphic designer, artist, and “wannabe” writer, and I’m loving it. : How did you get started doing string art? How did you learn how to do it? : It happened quite by accident, really. I wanted to make a unique gift for my husband for Valentine’s Day (he says it was his birthday, but we have agreed to disagree…that’s marriage), and I had remembered seeing string art on Pinterest a few years back. Kyle is from California, so I thought it would be neat to do a California piece for him. I have always been a visual learner, so after looking up images of a few pieces, I just kind of figured it out, as anticlimactic as that sounds. I had so much fun making his piece that I decided to make a piece for a friend’s wedding gift. Once other friends saw that, the orders started coming in, and Strung Out Nails was born. : Tell us about the process to complete a piece. : Every piece is unique and takes a lot of time and effort. Most of my pieces are custom orders, so my clients usually have some sort of idea of what they are wanting. Whatever the concept is, I’ll take it and design a template in Photoshop, then print it to the size of the piece. Then, I will start on the base. The bases are a vast array of sizes, so how I create each one is dependent on the size; some are one piece of wood, while others are panels screwed together. Each base gets stained or painted and has to dry for a day before a nail ever touches it. Once the base is complete, I lay the template and begin outlining with a nail. I outline the entire piece like connect-the-dots before removing the template to begin placing the nails. Finally, I begin filling in the space with string. If a piece has multiple colors, I have to decide how I want to layer the colors before I can begin. It takes a lot of patience to complete a piece, of which I could always use more practice. : Where do you see Strung Out Nails going in the future? And what are some of your biggest/current goals in general? : I honestly like where it is at the moment. It has actually taken precedence over my photography! I truly just hope it continues to stay this way. I think it would be extremely fun, however, to do a really large piece for a local business. : What is your favorite part about making these pieces? : As with most things, I really love the end result. Watching the image come to life is always rewarding. : What’s the most challenging part about creating your work? : It is a very tedious art. From trying not to whack my fingers while hammering the nails, to making sure the string doesn’t pop off of a nail while I’m filling in, it’s tedious from beginning to end. In the end, though, it’s definitely worth it. : How would you describe the perfect setting and ambiance to complete a piece? : I really enjoy working in my living room while listening to an audiobook or music. On nice days, I have also enjoyed working on a piece outside on a blanket. : Does your work have any type of common theme? Or since you mainly do custom orders is every piece very different? : My most common themes are Nashville and Tennessee. However, as I said earlier, most of my pieces are custom orders, and I always enjoy the challenge of creating something new. : Do you do any other type of artwork? Do you think that helps you in string art as well? : My background in photography, graphic design, and drawing/painting definitely helps. Being able to find a visual balance makes all the difference in the final look of a string art piece because of how linear it is by nature. : How popular is string art? Do you know of a lot of other people doing this type of work? : I feel string art is beginning to grow in popularity again. It actually began in the 1800s by a female mathematician, Mary Everest Boole, who wanted to make geometry more tangible for children, and she created what is called “curve stitching.” It became popularized as an art in the 1960s and 70s, then it died off again. Recently, string art has evolved in both look and variety. I don’t know many other people who actually create string art, but I have found a few other very talented string artists through Instagram. : Any advice for other creatives/artists out there? : You make time for the things that are important to you. I never dreamed I would make a career of creating string art, or photography, or graphic design, but I made time for those things. I stuck with them, and I continue to learn all I can about them. I plan to do the same with my writing. Persevere and endure. I truly believe that makes all the difference. Calling all crafters! If you love a good paper cutter, stamping, finding cute appliqués and just making beautiful things, this post is for you. 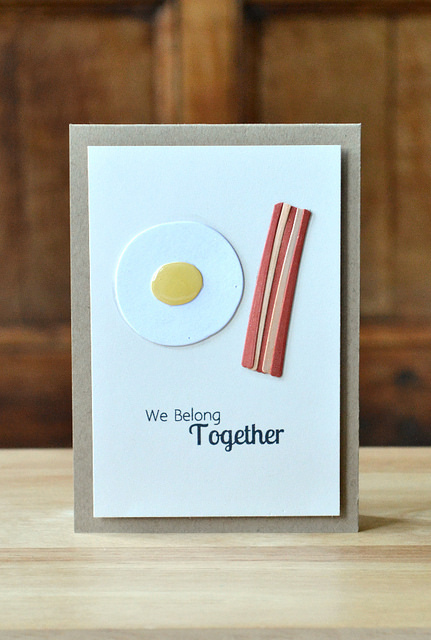 We came upon Amy’s work on Instagram and loved her fun, carefully designed and sometimes quirky card creations. She has something to fit every occasion and design preference. Whether you are looking for something classically pretty or out of the ordinary she has a card for you. Crafting is all about trying new directions, medias and subjects. One day you can design a bag and on another you can paint wine glasses, which is why crafting is so great! You have room to experiment and find out what craft you’re best at. Amy has clearly honed her skills in card making and it shows in how professional her cards look. We could easily see any of her designs being printed and sold in major card retailers and we hope to see just that happen in her future! 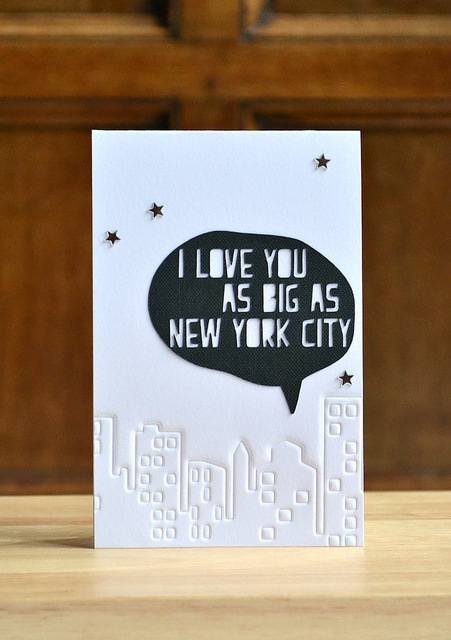 Check out her website, http://craftingconfessions.blogspot.co.uk, to see more of her work and see what products she uses to make her cards. 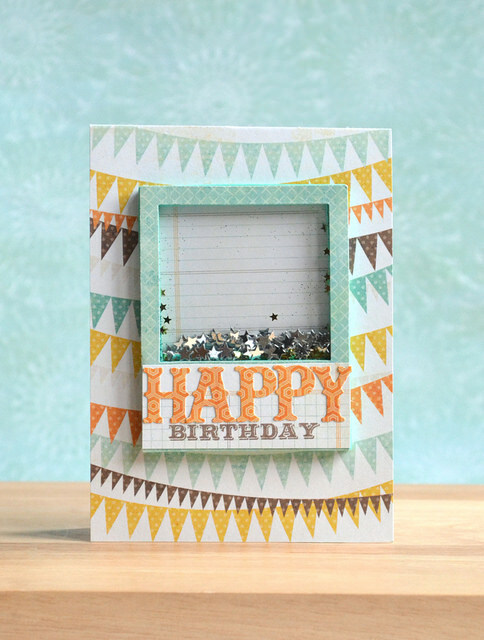 Keep reading to learn more about Amy in our exclusive interview with the fabulous crafter! 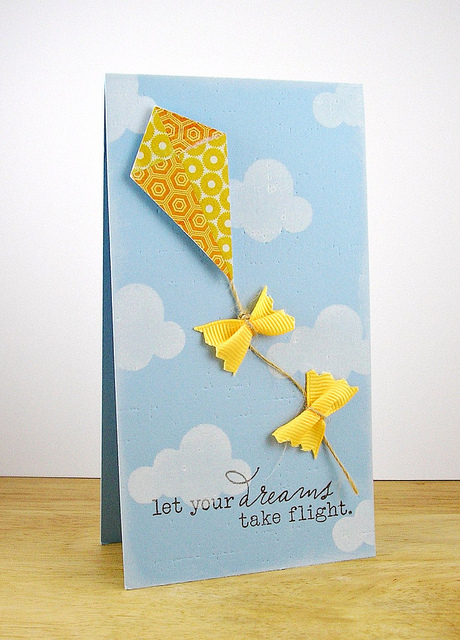 I’ve always had a love for paper in various forms but I was hooked on card making in 2008. I visited a scrapbooking shop, (I’d never heard of scrapbooking before!) purchased a couple of stamps and inks and the rest, as they say, is history! It may sound cliché, but I find inspiration everywhere. I find it in trends, in advertising, in work, in people – the list goes on! I’ve been known to wake up in the middle of the night with inspiration striking! It’s good that I always have a little notebook on hand to scribble my ideas down. Oh you just can’t ask that question! I have so many! I’ll name a few, but there’s so much talent out there and so much to admire – that’s what I love about this creative community. Cristina Kowalczyk wows me continually with her graphic designs. Debby Hughes can make any media look amazing. Iwona Palamountain has such a distinct style with so much attention to detail. Julie Ebersole not only has the most infection giggle, but such a wonderful style with a punch of humour. This is a bit of a toughie as it changes. I guess one media I always find myself working with is stamps. It’s what first hooked me into card making and there are so many different techniques you can play with by using stamps. Apart from stamps, I’m often die cutting. I swear I must have one bicep bigger than the other given how much I do! My comfort zone is clean-and-simple. I’m a sucker for graphic design and clever use of space. I’m lucky. I get to share a room with my fiancé’s musical side so it’s great to sit at my desk and create with musical accompaniment. I always work at my desk as I’m surrounded by my supplies. It’s impossible for me to work elsewhere as I’d be running back and forth for materials – I very rarely create knowing exactly what I’ll require beforehand. What are your future goals and biggest dreams? Long-term I would love to make a living out of this industry. To create and earn a living would be a dream come true! Short-term I would love to find some time to sit and create some more clear stamp designs and actually learn more about digital designing. I’m a total self-taught novice and I often think that people must create in minutes what takes me hours! One word: Time! There’s never enough of it! It’s hard balancing a full time job with hobbies other than papercrafting. I often find that I’m feeling more creative at night, (I’m a night-owl) yet that’s the time I need to be going to sleep for work the next morning! How has your work changed over time? What have you learned in your creative process? My work has changed so much! At first, I was one of those pile-it-on-high card makers with layers and embellishments galore. It makes me cringe a little to think about it, but it’s all part of the creative journey. I then found my love for the clean-and-simple style. What is the most memorable compliment you’ve received? Tell us a little bit about who you are. Although my name is Amy, most know me as Aimes and I’m a tea, toast and papercrafting addict. I work full time in education by day and papercraft by night. I currently live in Sheffield, England with my fiancé who is my resident technical support for everything! Enjoy it. If you don’t enjoy what you’re doing then ask yourself why you’re doing it and who you’re doing it for. Do what you love, love what you do! I’d also suggest that it’s always worth trying something new every once in a while – it’s true when they say nothing ventured, nothing gained. I have to pinch myself sometimes to see my own creative journey and most of the fabulous opportunities come from taking chances.